To gear up for spring riding, Salem Cycle will present an overview of bike commuting topics including bike laws, bike skills and riding tips, basic gear, and bike maintenance. 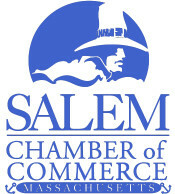 The maintenance portion of the evening will be led by Salem Cycle’s Service Manager. Light refreshments will be provided. Thursday, April 25, 2019, 6:30 p.m. - 8:00 p.m.